in 1976. TWR started to prepare BMW models for racing, and later also Mazda and Opel for racing. In 1981 the company also prepared the Paris-Dakar winning Range Rover for Rene Metge and Bernard Giroux. 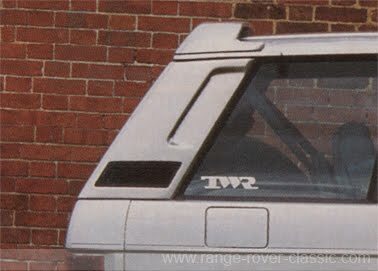 Later on in the mid-80's TWR started to work with Rover and Jaguar. 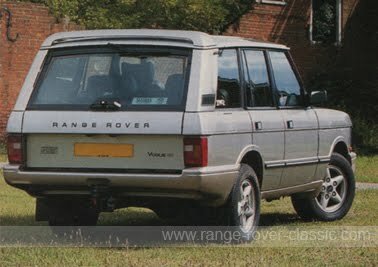 proposal for a more stylish and sporty Range Rover. 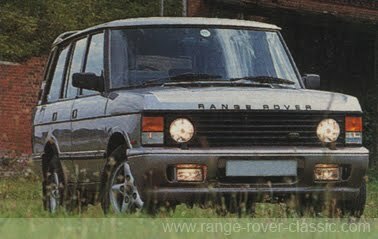 The first Range Rover version from TWR was showed to the public at Frankfurt Auto Show in September 1991, as a styling concept. The original TWR front bumper had circular driving lamps.